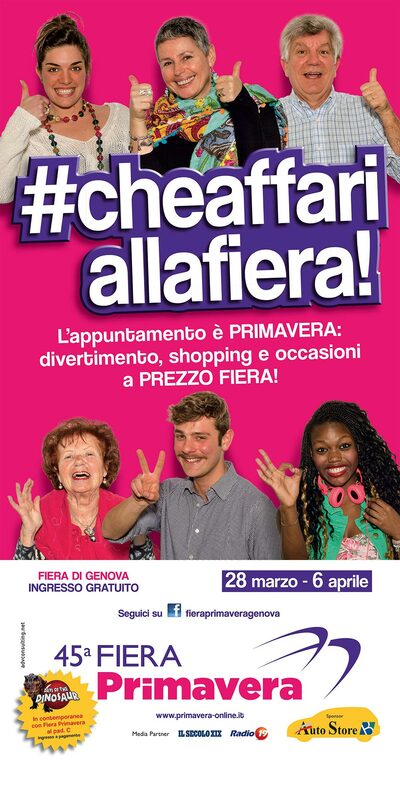 Fiera di Genova issued a call for tenders to create an advertising campaign for Fiera Primavera (Spring Fair), the traditional town trade fair. Besides the save the date, the objectives of the campaign were to open up to the city, focussing on social networks to highlight the sharing economy and transmit a concept of novelty for a traditional event, this year with renewed spaces and scheduled activities. 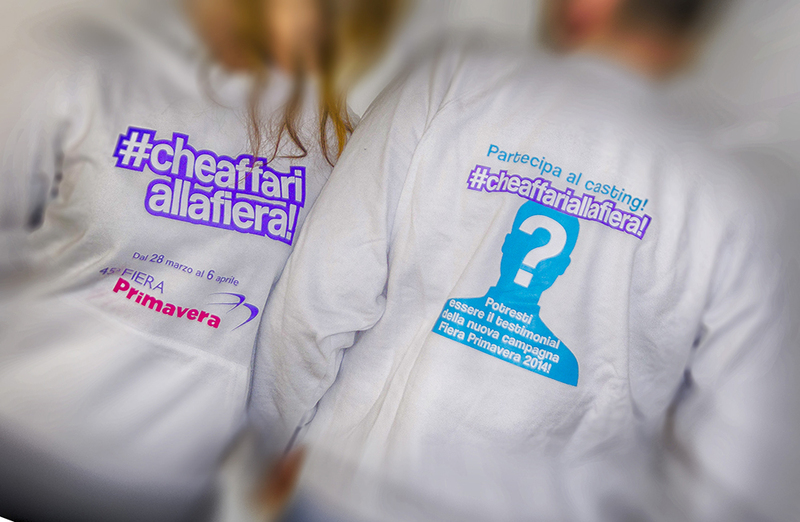 Adv Consulting was awarded the tender thanks to its viral message and engagement strategy: the agency proposed the viral claim #cheaffariallafiera that – thanks to the # graphic element – places attention on the world of social networks whilst highlighting the fact that business can be done at the Fiera Primavera. In order to increase campaign engagement the project included a path working up to the event, involving the Genoese through casting on line and in the squares to select advertising campaign testimonials. The result went way beyond all expectations, with great participation and a new Facebook page which instantly became a fundamental project element, receiving almost 4,000 likes in less than two months and involving users in the activities of sharing economy communities, also present during the event. Likeability and enthusiasm were the elements through which six Genoese were selected – aged between 15 and 81 – representing the fair’s wide-ranging target and who became the testimonials of the advertising campaign in the press, on the web, tv, radio and outdoors.